Google has a new parent company, filed a patent for “watch time based rankings,” and more this week. As always, our communities were buzzing at the news. But like any good conversation, there were plenty of interesting side-discussions about Twitter, content marketing, and URL structure as well. Here’s a look at what you might have missed out on! When searching in Google, local results used to show up in a “7-pack” of brief listings and Google map pin locations just below the search bar. Now, the 7-pack has shrunk to a 3-pack “Snak Pak,” or “Local Stack” as Mike Blumenthal calls it. Head on over to Threadwatch to find a discussion and a link to some useful reading about the switch. What differences in traffic, if any, have you noticed? Here Comes “Watch Time” Ranking Factors! SEOs have been trumpeting the power of videos for some time now. But it’s important that your videos are of good quality and can engage with viewers. Engagement will be more important than ever in the future: according to this dispatch from Threadwatch, Google has filed a patent labeled “watch time based ranking.” Bill Slawski speculates that it could give pages a boost if viewers stay and watch an on-page video for a certain amount of time. But on the other hand, videos that have poor watch time could do just the opposite. Re-evaluate your video content now, lest your “thin” videos and low watch times result in disaster later! Once again on Threadwatch, a user has paired a discussion on SEO Chat with a recent study featured on Search Engine Land’s website. In the study, Bartosz Góralewicz provides details about an experiment he ran to determine the impact of CTR on organic rankings. In the thread from SEO Chat, a little older than the study, you can find users discussing more than just rankings. As a data signal, what does CTR mean for your website? Take a look! Over the course of SEO Chat’s history, 301 redirect questions are probably among our most common. There are a lot of specifics going into each redirect. Every site is a little different, so it can be scary for Webmasters even if they feel like the process is the same each time. It doesn’t help that misinformation about 301s and their use is everywhere. In this thread, SEO Chatters are trying to clear the air and get to the truth of 301s. Watch Your Mouth! Tweets Can Be Retrieved From 9 Years Ago! Politicians and business folk with loose lips on social media might be revisited by the ghosts of their past soon. Gnip, a social data company snatched up by Twitter just last year, has launched an archive search API for Twitter users. The API is able to pull information from all the way back when Twitter started nine years ago. Besides shaming people for their past mistakes, it could also be put to productive use studying past trends. EGOL is an extremely knowledgeable and well-spoken member of our community, with years of experience. Give this thread a read and share your opinion – in your eyes, is content across the web improving in quality? Maybe Google did something right! If you were rebuilding a website from the ground up, as WebmasterWorld user ergophobe is, how would you change the URLs? In this thread ergophobe identifies some problems with the elderly URLs from the site he’s working on and proposes some solutions. It’s quite a detailed thread with lots of links to older discussions – a real treasure chest of discussion about URL architecture. There’s also some interesting discussion about Panda – with the update rolling out slowly, maybe the risks are too high to make broad changes. It might be best to wait until the waters calm. Finally, maybe the biggest piece of national and corporate news being discussed in our communities. If you know Google, you know that they’ve got their fingers stuck into a lot of different pies. And for a while now, that’s made investors a little uneasy. If one pie goes rotten, what’s to save Google from getting its whole hands covered in muck? 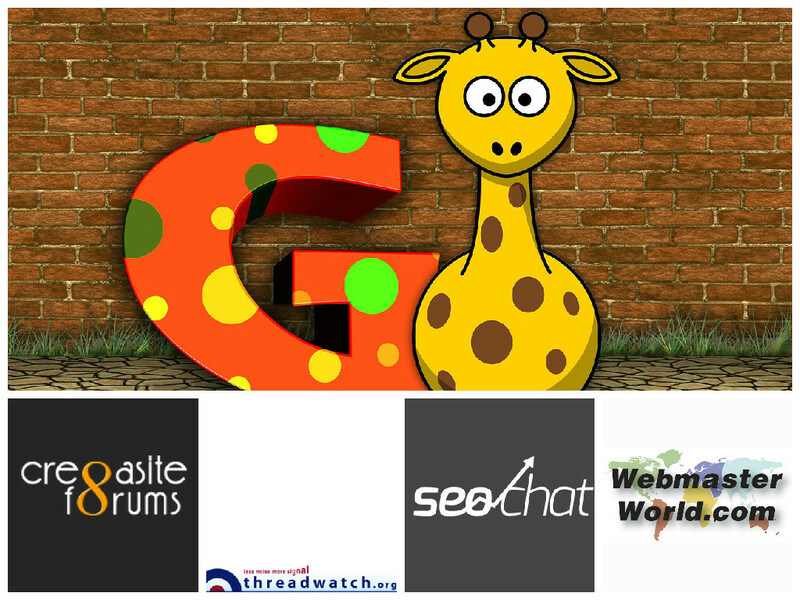 Google Updates, Long Web Pages, SSL Certificates, and More: Weekly Forum Roundup!